The American participants in the 2015 U.S. Congress - Republic of Korea National Assembly Exchange Program pictured here in downtown Seoul. Jessica is the third person from the left. Jessica Reppert is an alumni of the 2015 U.S. Congress – Republic of Korea National Assembly Exchange Program. Now in its 21st year of implementation by Meridian International Center, the program is jointly funded by the U.S. Department of State’s Bureau of Educational and Cultural Affairs and by the Committee on Foreign Affairs and National Unification of the Korean National Assembly. To mark the 20th Anniversary of implementing the program, Meridian conducted a longitudinal study, surveying both American and South Korean participants from the 2007-2017 programs to assess how this exchange has impacted the alumni. A representative from Meridian interviewed Jessica as part of the study to learn more about the influence of the program on her personal and professional life. The participants in the 2015 U.S. Congress-Republic of Korea National Assembly Exchange Program pictured here at the Joint Security Area of the DMZ, on the North Korean side of one of the main conference building. During the interview, Jessica noted that perhaps the program’s biggest impact on her was how it shaped her perspective on the way in which non-native English speakers learn English. Traveling to South Korea and interacting with the Korean participants provided a unique opportunity to exchange information about each other’s cultures and to observe the dynamics of inter-cultural dialogue. This exposure to Korean culture and interaction with participants who speak English as a second language, deepened her understanding on language learning. For example, she discovered that many feel more comfortable writing, reading and listening, rather than speaking English. Some of the Korean counterparts explained that they were not able to express themselves in English as well as they did in their native language. Jessica Reppert teaching ESL in a classroom. Jessica pointed out that these discussions with her Korean counterparts had been incredibly impactful on her professional aspirations and ultimately helped her decide to become an ESL (English as a Second Language) teacher. Jessica, however, was not alone in highlighting the impact of the program on her professional life. 78% of the American participants and 98% of the Korean participants also responded that this program has impacted their career paths. The impact of the U.S. Congress-Republic of Korea National Assembly Exchange Program on the professional lives of its alumni. Jessica has remained in contact with her assigned Korean counterpart, Ms. Himchan Kang, and continued to discuss how to help her students better learn English. Fortunately, Jessica Reppert and her counterpart both went into teaching English as a second language in their respective countries, and they have been able to compare the experience of working in the American and South Korean educational fields. Through these discussions, Jessica was able to get a better idea of how English is taught in Korea, which overall has helped her understand how English is taught globally. 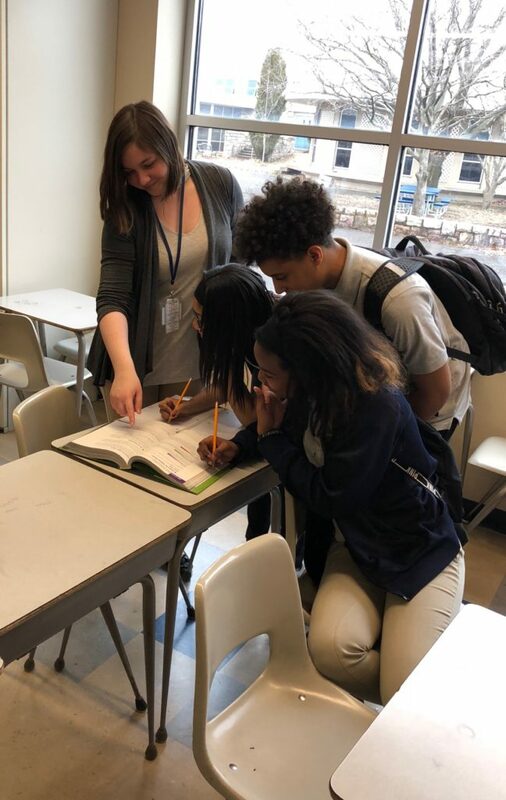 Jessica elaborated on why this experience was beneficial; she teaches students from four different continents who have previously attended school in more than nine countries including the Dominican Republic and Puerto Rico. This experience has also enabled her to teach her students about Korea-related topics, as many of them are very interested in Korean culture. 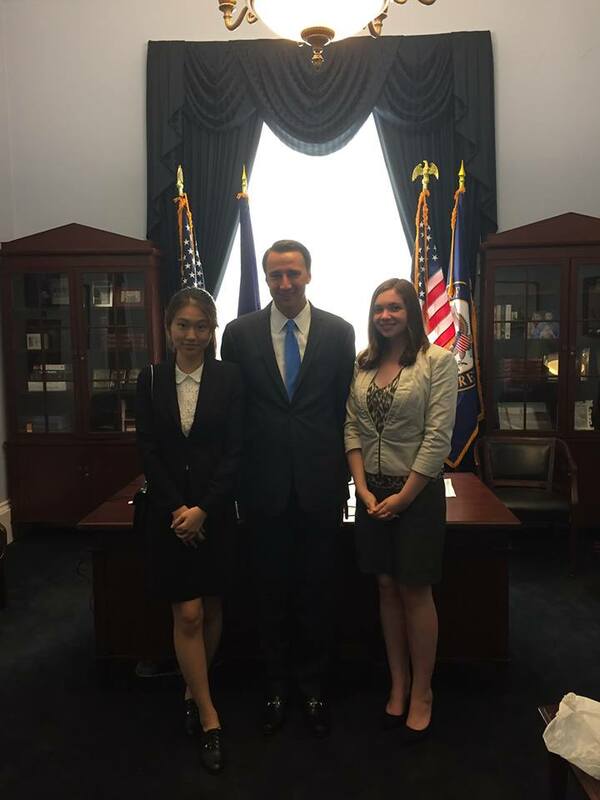 Jessica Reppert and her Korean counterpart Himchan Kang meeting Congressman Ryan Costello, Jessica’s Congressional sponsor in the program. During the interview, Jessica also offered an example of how others benefited directly from her experience with the program. One of her students was writing a report about South Korea’s geography and Jessica was able to sit with her and the two of them worked on it together. This program has given her hands-on experience and not only has Jessica been able to apply what she has learned through the program but she has also been able to help others by drawing on those experiences. 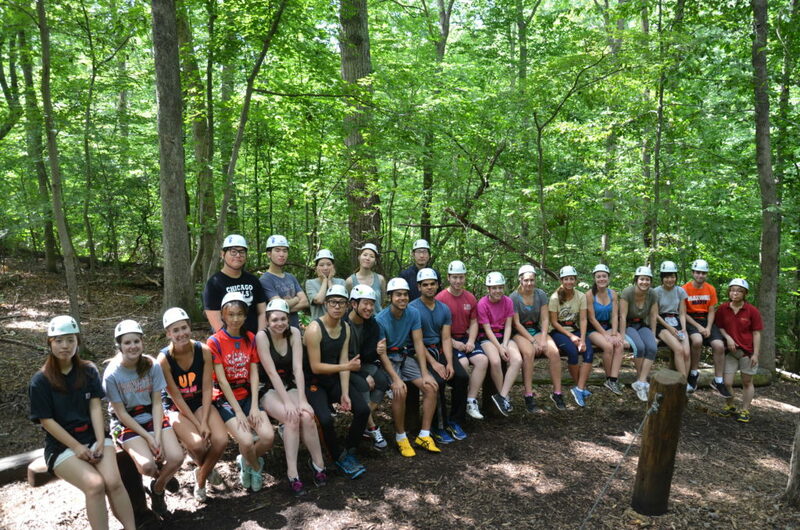 Korean and American participants in the 2015 U.S. Congress-Republic of Korea National Assembly Exchange Program at the end of a Team Building Activity. The Exchange Program also had an impact on Jessica’s personal life. She looks back fondly on her weekend homestay with a Korean host family and her thoughtful discussions about Korean family life and culture with her host father, who worked for the national broadcasting company. By spending time with her host family, Jessica gained insight into aspects of Korean culture few others would have access to. It is a valuable training program helping us understand a culture to the fullest extent possible in a limited amount of time. The way we studied the Korean culture on this trip is how it should be done. We studied the history, the current issues facing the country, and we were able to hear the perspectives of other young people as well as those of experienced scholars and government officials. I think it is the best possible way to learn about Korea in three short weeks. I felt that by the end of the program I knew so much about the cultural norms based on how people in Korea talked and behaved. 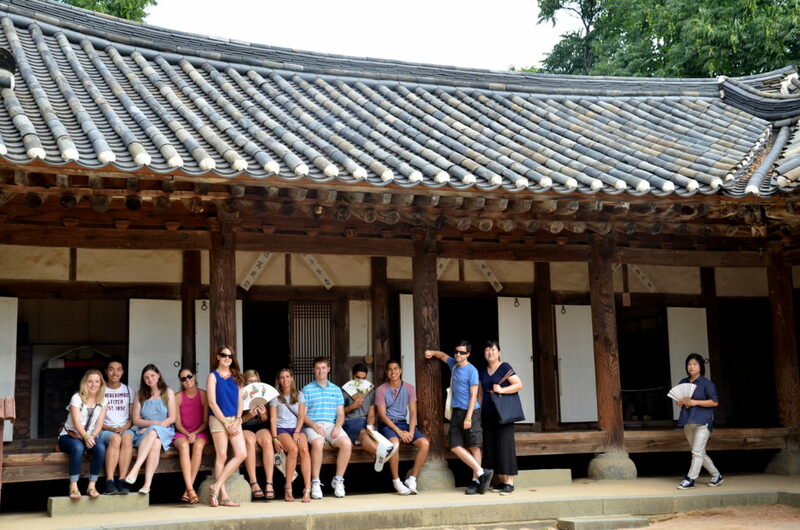 Jessica Reppert, the third person in the left, visiting a traditional house in South Korea along with other members of the U.S. Delegation. As a result of this program, Jessica not only gained a better understanding of another culture, but the exchange also played a significant role in guiding her career path. 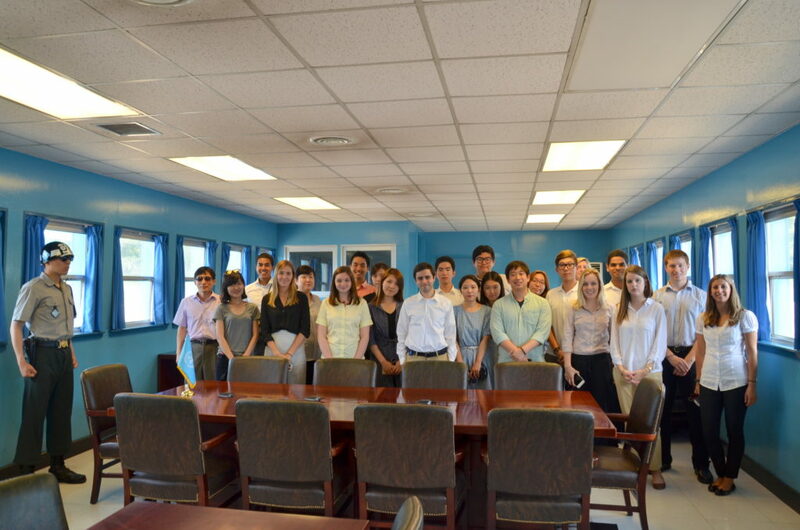 This program will be implemented again in 2018 to continue broadening the perspectives of Korean and American young people on the legislative process; the history of U.S. – Korean relations; and current economic, political, and security aspects of the bilateral relationship. 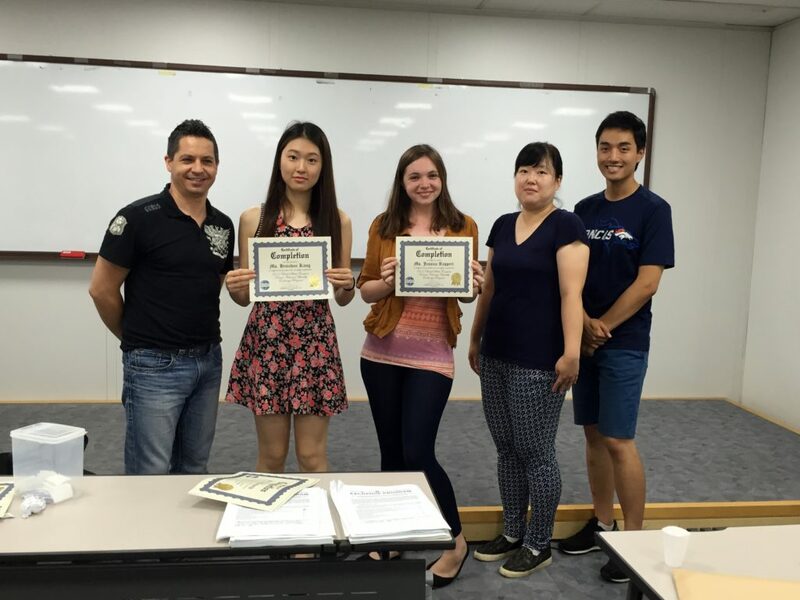 Jessica Reppert and Himchan Kang receiving Certificates of Completion from Meridian’s Program Officer Bogdan Banu and from Eunhae Uhm, Legislative Researcher and Joseph Choe, Intern from the Committee of Foreign Affairs and Unification of the Korean National Assembly. This article is the second in a series of four highlighting the personal stories and the impact of the U.S. Congress – Republic of Korean National Assembly Exchange Program on its American alumni. The article is jointly written with Atlas Corps Fellow Jenny Park. POST TAGS: Capitol Hill, International Exchange, Korea, Meridian Alumni, South Korea, U.S. Department of State, Youth.